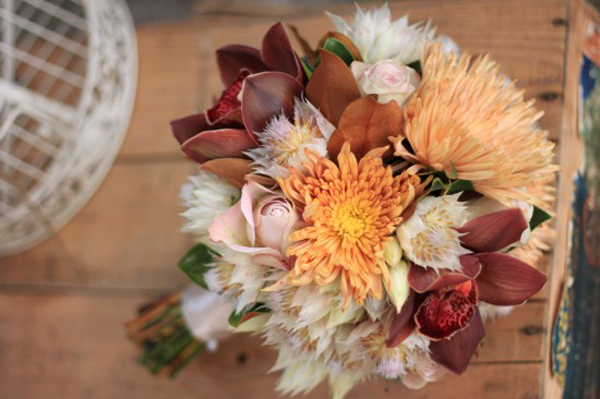 Is there a more aptly-named wedding flower than “blushing bride?” The name aside, blushing bride protea looks gorgeous when used with a variety of flowers from roses to clematis to orchids. 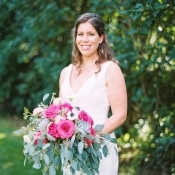 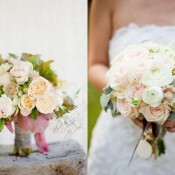 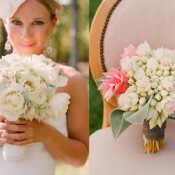 It has a blush center with pointed petals that range from white to ivory to pale pink. 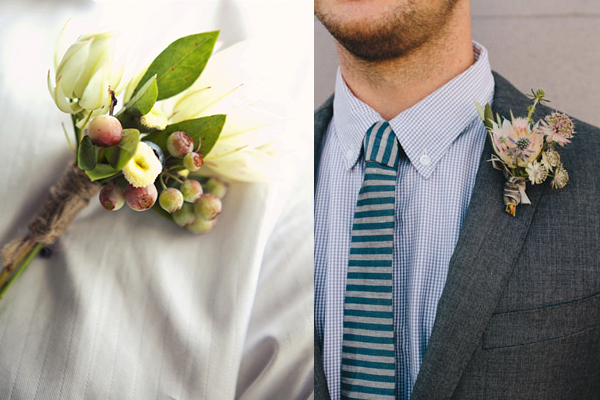 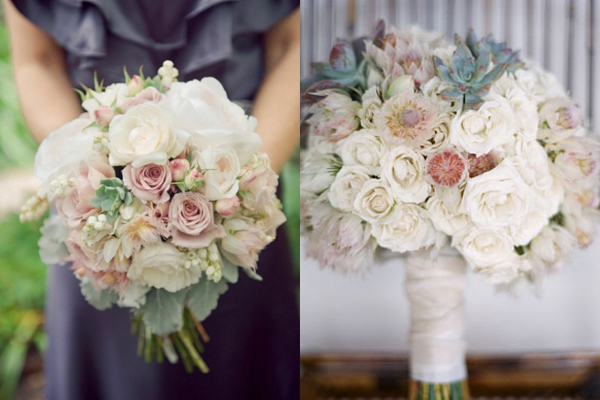 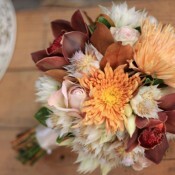 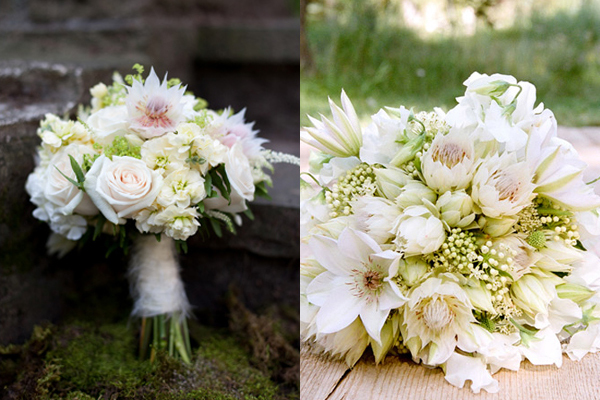 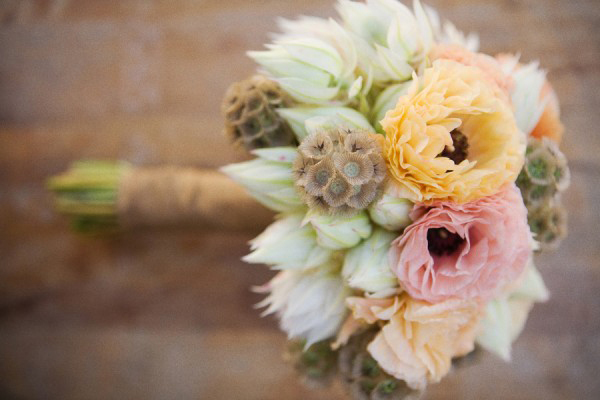 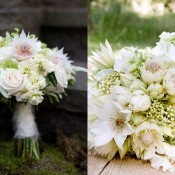 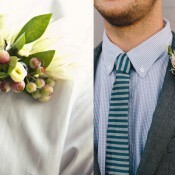 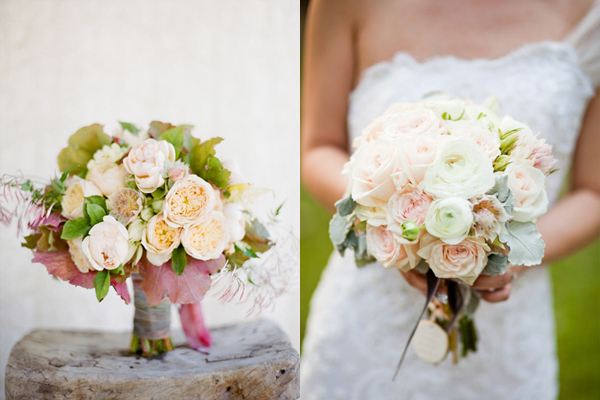 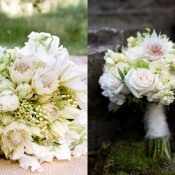 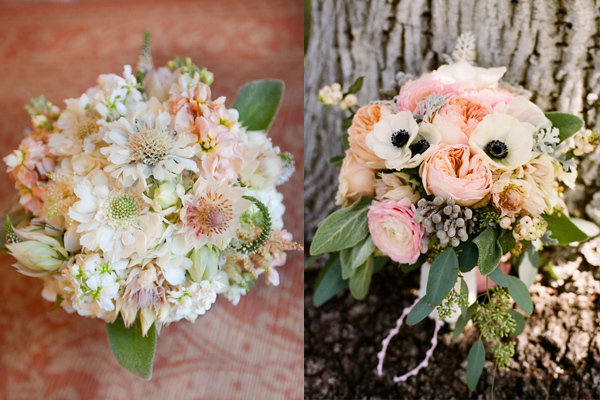 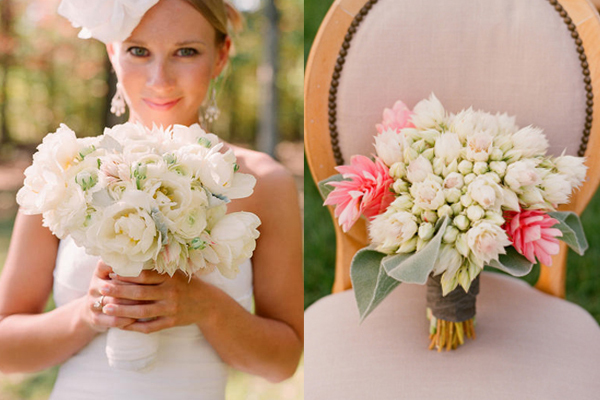 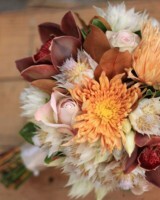 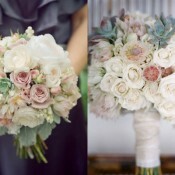 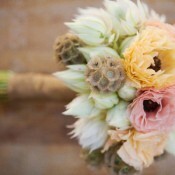 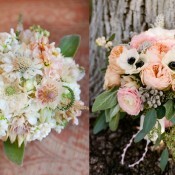 Can you spot the blushing bride protea in all of these bouquets? 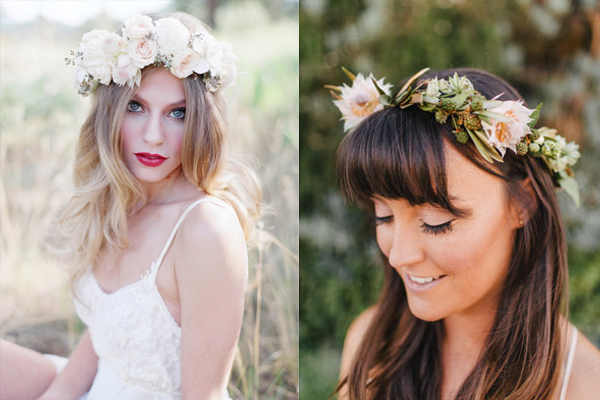 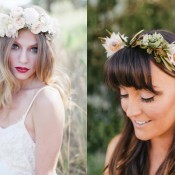 How stunning is it when used in these flowered crowns?